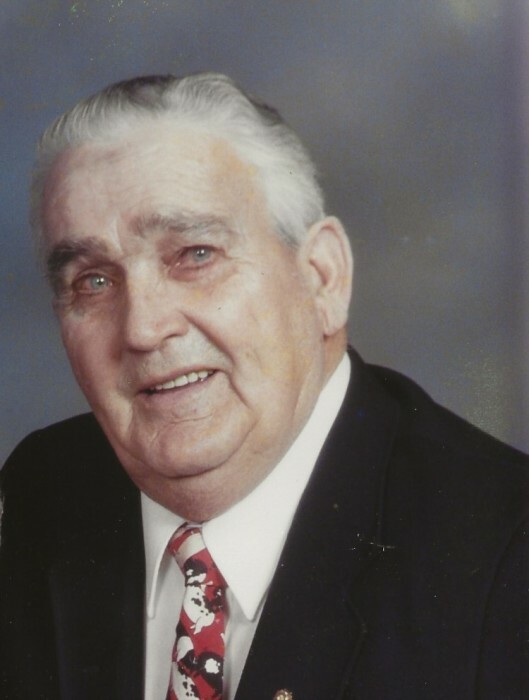 Ralph William “Bill” Roudabush., 91, of the Hollidaysburg Veterans Home formerly of Claysburg passed away Friday August 24, 2018, at the Home. He was born July 12, 1927 in Claysburg son of the late Lester E. and Rose K. (Knisely) Roudabush. He married Margaret C. “Peg” Dodson on September 13, 1947 in Winchester, VA. She passed away August 26, 2012. Surviving are three children Brenda Marriner, Ira W. (Denise) and Kirk (Vicki) Roudabush, grandchildren Christina (Shawn) Claar, Danyell (Jeremy) Knott, Kaleb (Amber) Roudabush, April Ann (Andrew) Fencil, Jordan and Dustin Roudabush, great grandchildren Emily and Rebekah Claar, Kaden and Noah Roudabush, Quinten, Hudson, and Paxton Knott, sisters Jean (Bob) Gordon and Joy (Vince) Dodson and many nieces and nephews. He was preceded in death by a sister Iva Johnston. Bill served in the Navy during WW II and was a member of the Claysburg American Legion, Duncansville VFW, a founding member of the Blair County Veterans Honor Guard (and its oldest member). He was a 1945 graduate of Claysburg High School. He was an active member of Christ Lutheran Church where he served on the Council and as its President, the Building Committee, the Parsonage Committee, and was a Lay Assistant in the Allegheny Synod. He was a member of AA celebrating 43 years of sobriety. He also was a member of the Blair County Farmers Assn., a member of the Blair County Democratic Committee, and member and past Vice President of the Blair County ASFME Retirees. He retired as an inspector from PennDOT in 1985. He and his wife Peg owned Roudabush’s Market and Bakery. He enjoyed farming, hunting, Steeler Football, making sauerkraut and apple butter, and spending time with his family. Visitation will be Monday August 27 from 10 AM till the 11 AM service at Christ Lutheran Church, Claysburg with Pastor Judith Simsonson officiating. Interment in Claysburg Union Cemetery with military honors provided by the Blair County Veterans Honor Guard. In lieu of flowers donations may be given to the Honor Guard or Christ Lutheran Church.